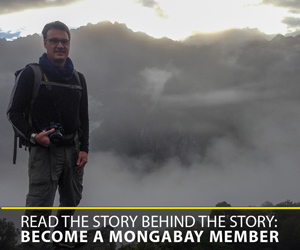 Prey Lang has been the subject of a massive grassroots effort to save it — one that has seen environmentalists and journalists killed. Cambodia has launched a big offensive against illegal logging, but some are skeptical that the main operators will actually be targeted. Prey Lang was one of five forests to receive the protected status late last week. A landmark decision by Cambodian prime minister Hun Sen could see almost a million hectares of forest reclassified as protected areas in a country with one of the highest deforestation rates in the world. But the order, circulated on Friday, to transfer control of the sites from the agriculture ministry to the environment ministry has been criticized by forest activists and conservationists as not going far enough. The new conservation zones include the “core area” of Prey Lang, the largest of five forests to receive the protected status. Environmentalists have been campaigning against the logging of Prey Lang for many years, but the decision to include less than half of mainland Southeast Asia’s largest evergreen forest in the new protected area has disappointed. The other forests included in the decree were Preah Roka, Prey Siem Pang Khang Lech, Prey Chrak Robeang Khang Tbong and Prey Veun Sai. In a speech on Thursday broadcast on state television, Hun Sen said his government “needs to protect the forests” adding that he shared the “same objective” as activists and villagers working on the ground. Activists from the Prey Lang Community Network (PLCN), a grassroots campaign by people living in and around the huge forest, had hoped that earlier plans for almost 500,000 hectares to be reclassified would bear fruit. But by last week this figure had been cut to about 300,000, leaving out much of the north of the forest where it stretches into Preah Vihear province. Many of the PLCN members come from indigenous or minority groups who rely on small-scale logging and non-timber forest products to supplement their incomes. Environment ministry spokesperson Sao Sopheap said the ministry would no longer allow the PLCN to conduct its own patrols of the forest, encouraging the group to join government excursions in future. Activists point to organized criminal syndicates with powerful backers as the main drivers of the continued destruction of Prey Lang and other Cambodian forests, while government officials this week stuck to the line that village-level “anarchic” logging was the driving force. The illegal logging trade in Cambodia, which relies heavily on industrial-scale extraction of luxury timbers via privately leased land concessions granted under the government’s forest “conversion” scheme since the early 2000s, has been characterized by corruption, nepotism and violence. 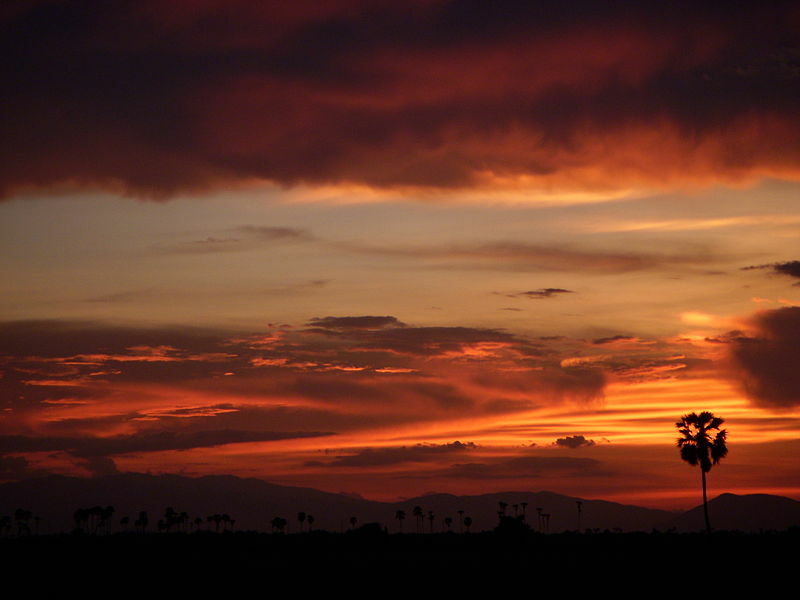 Research from the University of Maryland suggests Cambodia had the world’s highest deforestation rate from 2001 to 2014. 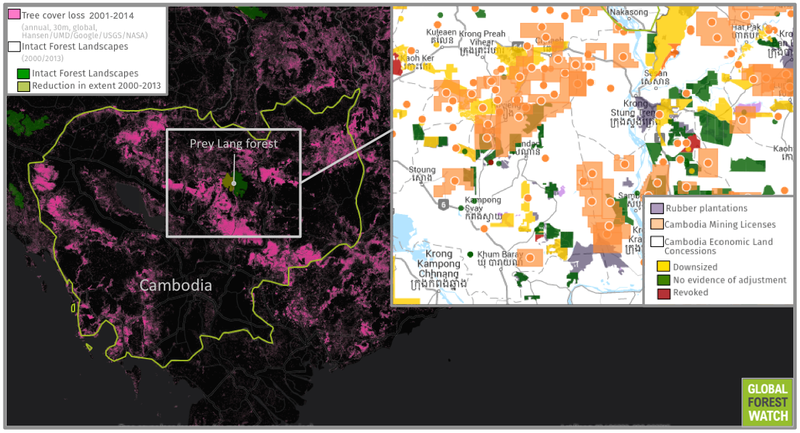 Satellite data from the University of Maryland show around 18 percent of Cambodia’s forest cover was lost during the 15 years from 2001 through 2014. Of the country’s remaining forest, the UN’s Food and Agriculture Organization estimates only around 3 percent is primary. 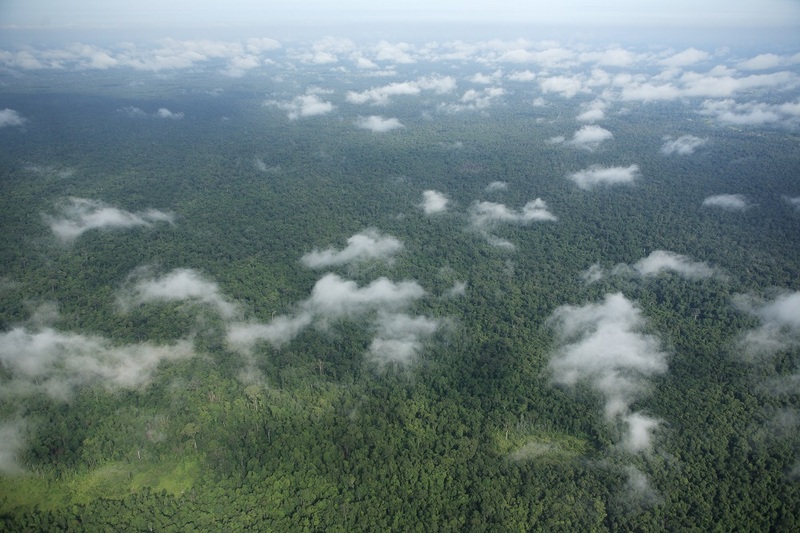 Much of this is located in Prey Lang forest, which comprises Cambodia’s only Intact Forest Landscape (IFL): a particularly large, undisturbed area of primary forest. Surrounding the Prey Lang IFL are Economic Land Concessions that denote land earmarked for industrial agriculture, as well as established rubber plantations and land licensed to mining companies. Environmental defenders regularly come under attack. On a routine anti-logging patrol in Prey Lang forest in late March, PLCN activist Phan Sopheak, 25, was hacked at as she slept. Two forest rangers in Preah Roka were killed on patrol in November, with an investigation into the murders pointing to the involvement of local military officers. The Royal Cambodian Armed Forces have a long history of association with the illegal logging and smuggling trades, joining forces with powerful tycoons and political heavyweights who enjoy their protection and in return fund the development of military regions. Ross Sinclair, country director for the Wildlife Conservation Society, said the international group was “delighted” by the decision, which would allow for greater protections in places such as Preah Roka, which he called “the most important area in the world” for preserving the endangered Koki (Hopea odorata) tree. “These new protected areas are going to require a significant investment from the Cambodian government and donor community to make them work,” he said. 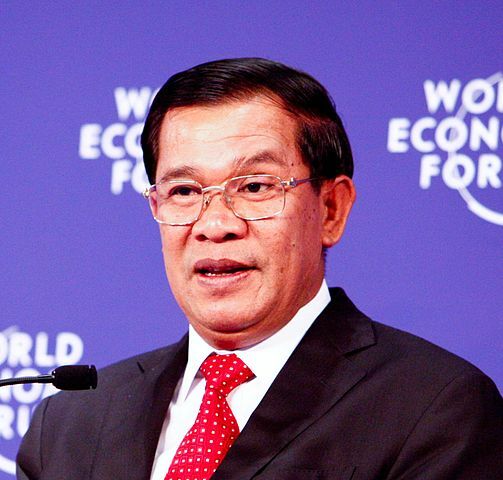 Hun Sen has ruled Cambodia for decades. The consensus among conservationists, while generally welcoming increasing the size of protected areas, is that Hun Sen has made little headway since he announced in 2001 that he would cut off his own head if he did not end the illicit trade. His government’s close relationship to those at the heart of the logging boom is the long-existent elephant in the room. A conservation worker, who asked to remain anonymous, said that “most people” in the sector were disappointed that a large section of Prey Lang was excluded from the agreement. “The reason we are hearing is that [the agriculture ministry] is unhappy with how much forest is going to [the environment ministry] so wanted to limit this, and also that [the agriculture ministry] wants to hold on to Community Forests, of which the Preah Vihear section was largely composed,” the conservationist said. Will protected area status help? Perhaps, but a growing body of evidence suggests trees are falling as fast in the country’s existing protected areas as they are outside them. Cambodia’s leading logging barons, such as Try Pheap, a former prime ministerial adviser, have been permitted to collect and log timber from vast swaths of the country over the past several years, predominantly from plantations controlled by Chinese or Vietnamese investors, many of which were allocated in or near to remaining primary forests. In turn this incentivized villages and towns to take to the woods with chainsaws to supply companies with Siamese rosewood and other, secondary species, which are “laundered” through legal concessions, providing a front for illegal felling. In just one three-year window, Pheap made more than $300 million from one logging operation at a dam site in the southwestern Cardamom Mountains, most of it logged illegally from the surrounding protected forest. Conservation groups have asked for more time to review the government’s plan for the new protected areas. Meanwhile Hun Sen has once again showed his sensitivity to criticism over the logging issue. Last week the screening of a documentary on the campaign to conserve Prey Lang was banned. 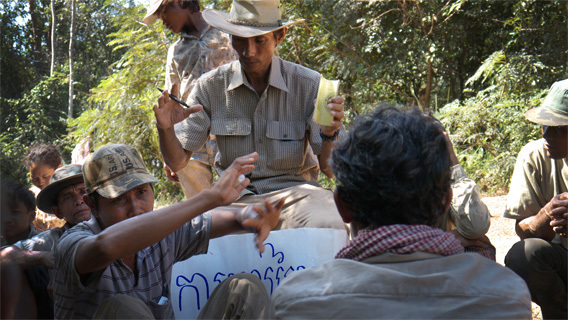 The film centers on Chut Wutty, the storied soldier-turned-activist who was fatally shot by military police while investigating illegal logging in the Cardamoms in April 2012. The censorship came just days after Ouch Leng, a lawyer who has carried out numerous risky undercover investigations of Cambodia’s illegal logging networks, was awarded the Goldman Prize for his work. Other obstacles stand in the way of any well-meaning officials seeking to implement the writ. The environment ministry is badly understaffed, at least when it comes to enforcement, so conservationists are banking on increased funding and commitment from Phnom Penh and international donors. Sinclair of WCS, however, said the new status would give conservationists room for maneuver.